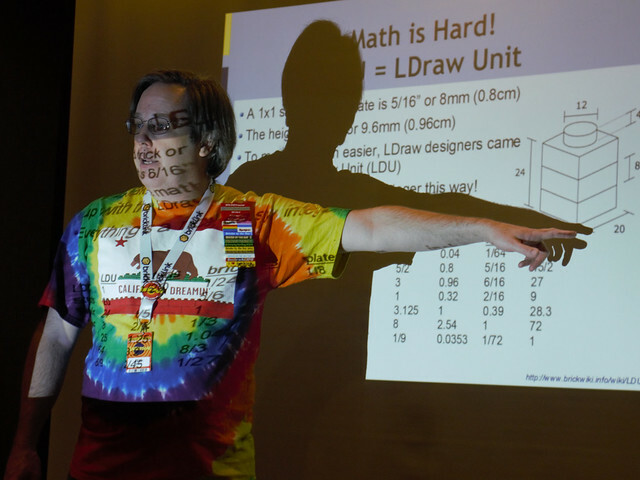 The slides from my Brick Geometry Presentation from BrickCon 2013 (PDF) are now available online. In this presentation I described several techniques involving half-plate offsets (based on my Half Plate Offsets talk from BrickCon 2008, but updated with some new examples) as well as a discussion of Pythagorean right triangles (e.g. 3-4-5 triangles) and how to use these to make a truss type structure in LEGO. Enjoy!